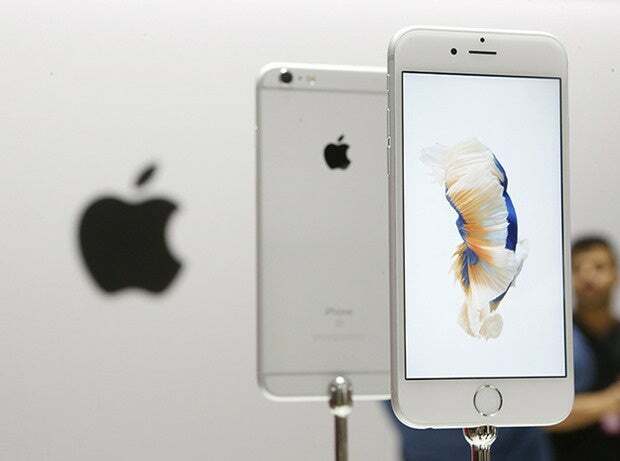 Are Apple's new iPhone 6s and 6s Plus really worth upgrading? What's so new about the new iPhones? 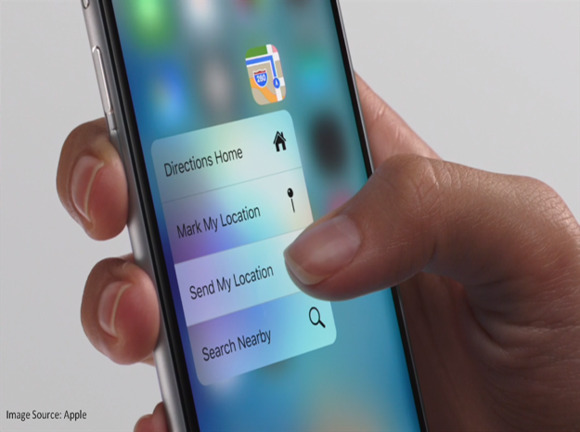 Is 3D Touch really worth the upgrade? How much faster do you really need? Apple announced drastic financial incentives for its new iPhone 6s line because the devices aren’t much of a step forward technologically. Most iPhone 6 users won’t sense a dramatic difference, and maybe none at all. Many Android smartphones have achieved parity with the iPhone. The iPhone 6s price starts at $649, compared to the Moto X at $399 and the Samsung Galaxy S6, which has twice the storage of the iPhone 6s, at $600. With constant Android competition and iPhone improvements occurring in slight increments, Apple has to give big incentives to sell their new iPhone and keep its customers from straying. 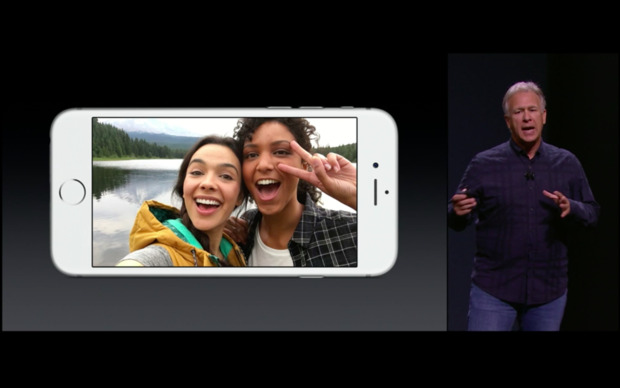 Last year’s iPhone 6 comes in Space Gray and Silver. 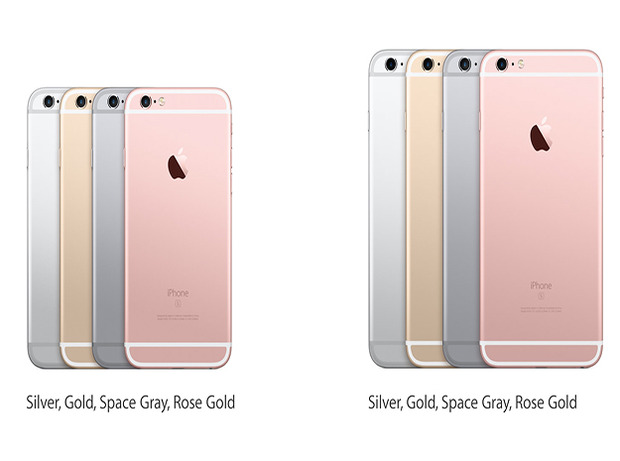 The iPhone 6s devices also come in Space Gray and Silver, but are available in Gold and Rose Gold too. Why the new colors? Smartphones are status symbols, and Apple’s brand makes the iPhone the highest-status status symbol. Because mechanical differences between the previous-generation iPhone 6 and the newly announced 6s line devices are nearly imperceivable, the fashion-conscious consumer can subtly let the world know they upgraded to a newest iPhone by showing off a Gold or Rose Gold finish. 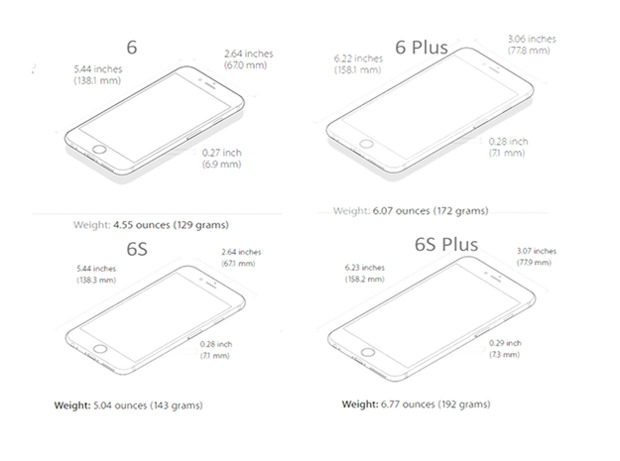 With a new line of iPhones, size, weight, and look and feel haven’t changed. Last September, Apple finally joined its competitors by introducing its first large-screened, phablet-like smartphone, the iPhone 6 Plus. In terms of physical characteristics, as this breakdown shows, this year’s upgrade is barely any different from the previous generation. Similar to a right-click on a mouse in Windows and Linux, 3D Touch introduces a new action in the UI. A light touch displays quick actions, shown in this example, and a heavier touch can perform another task, like a quick view of content without actually opening the app that contains it. It’s an impressive technology, no doubt, but realistically 3D Touch will only save incremental amounts of time on rare occasions. The example shown at Apple’s event, where 3D Touch on an email in the inbox shows the message contents, isn’t really any different than just opening the messages like you do now. The iPhone’s new selfie camera, also called the Facetime camera, has three-and-a-half times the pixel density of its predecessor and boasts Retina flash. While this will make for better lighting, it might not be popular with users who blind themselves taking their first selfie at close range. Apple may also win back the “best camera” title from Samsung, with a 50% increase in pixel density to 12 megapixels on its rear-facing camera. But pixel count isn’t as important as things like lens quality, imaging software, sensor quality, and exposure control. Professional photographers may notice a difference, but, then again, they buy professional cameras. Casual users won’t see enough of an improvement to warrant an upgrade. While some services, like YouTube, Netflix, and Amazon, have begun to dip their toes into 4K video support, not enough content is available yet to make this a must-have for a smartphone display. Then there’s the fact that devices capable of supporting all the 4K video you’ll capture with your iPhone 6s are still new to the market, so you might not even get to enjoy this super-high-def video anywhere but your 4.7- or 5.5-inch smartphone’s screen. That includes Apple TV, which had a new update announced on the same day as the 4K-capable iPhone 6s line but for some reason does not support 4K video playback out of the box. 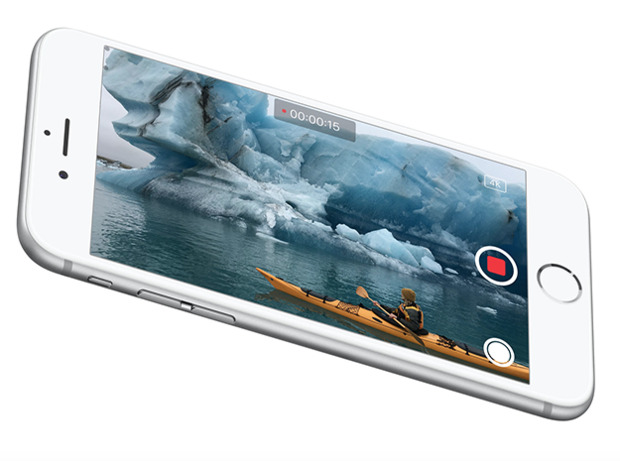 There’s no denying it – the new iPhones’ 64-bit A9 CPU chip with M9 motion processor is a significant upgrade. Apple claims the CPU is up to 70% faster and the GPU up to 90% faster. The technologically advanced motion coprocessor has been integrated into a single chip with the CPU and GPU. And Samsung, Apple’s manufacturing partner, has shrunk the die size to 14nm, making the chip faster and more power-efficient. But how many people would really notice a difference? Unless your current smartphone is unbearably slow, or you just need to have the latest processor in your phone, the new CPU isn’t much of a reason to shell out the moeny for an upgrade. Curiously, the iPhone’s battery performance specifications didn’t improve with the 6s. There are so many Android alternatives that include beefy, 3,200-mAh batteries, like the Nexus 6, which lasts more than a day. Perhaps to keep the iPhone thin, Apple has ignored both bigger batteries and wireless charging. Many top-shelf Android phones, it should be noted, are now also equipped with wireless charging. 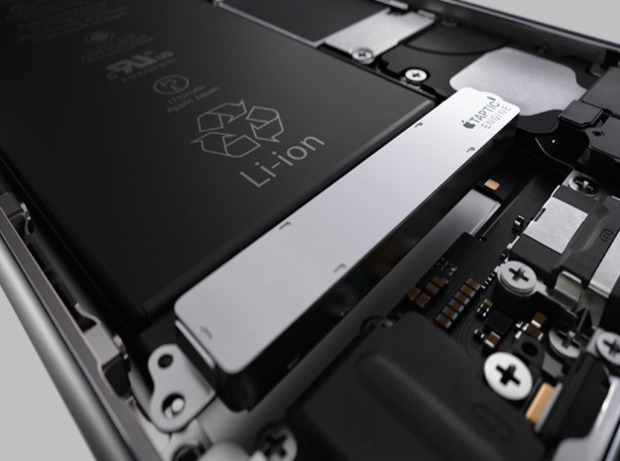 iPhone 6 owners unhappy with battery performance won’t find relief with a 6s, and should look to Motorola and LG smartphones that have bigger batteries and wireless charging. Apple fans, though, should go ahead buy an overpriced Mophie Juice Pack if they want to upgrade to the iPhone 6s. 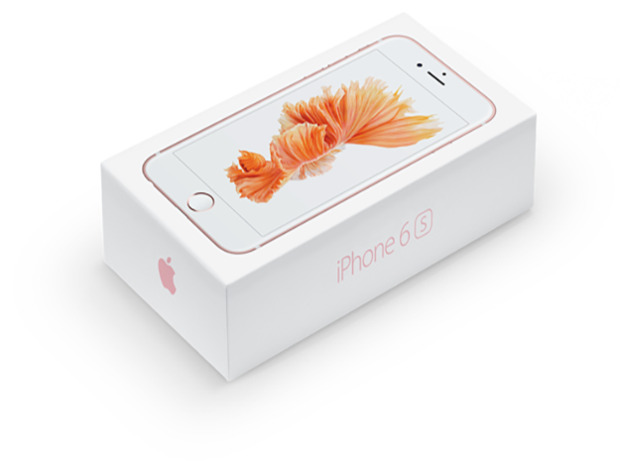 The iPhone 6s gets LTE A, which the International Telegraph Union has specified at speeds up to 1 gigabit per second. But mobile carriers have been slow to deliver service, and most users’ data plans would bankrupt them if the service was available. 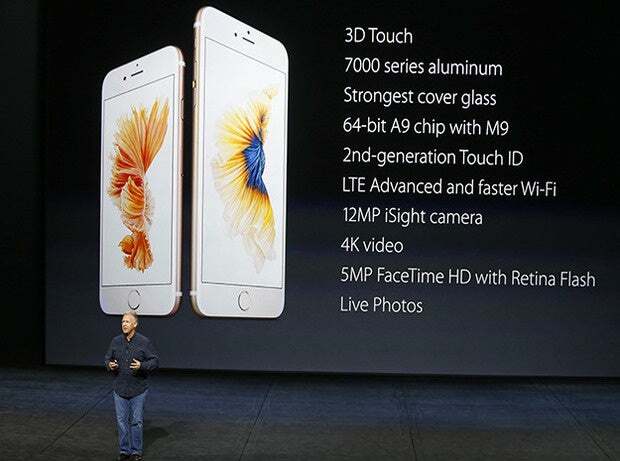 The iPhone 6s’s Wi-Fi standard 802.11ac with MIMO supports speeds of 866 Mbps. Those who are already equipped with the latest Wi-Fi router and who are lucky enough to have Gigabit internet available at their homes will reap the benefits of the iPhone 6s upgrade. But the rest of us won’t see much of a difference. With its new iPhone Upgrade Program, Apple is planning to give its customers a brand-new device every 12 months in exchange for a $30 monthly fee. Of course, Apple wants to keep iPhones in the hands of its users to keep them buying from iTunes. But maybe, by signing users up for an annual upgrade plan, Apple won’t need to do much to attract and retain customers. Even if, like the iPhone 6s, the iPhone 7 isn’t a leap forward technologically, Apple fans signed up for the Upgrade Program will still make the upgrade simply because there’s no reason not to. There’s even less of an incentive to look beyond Apple for a better smartphone; that is Apple’s plan.